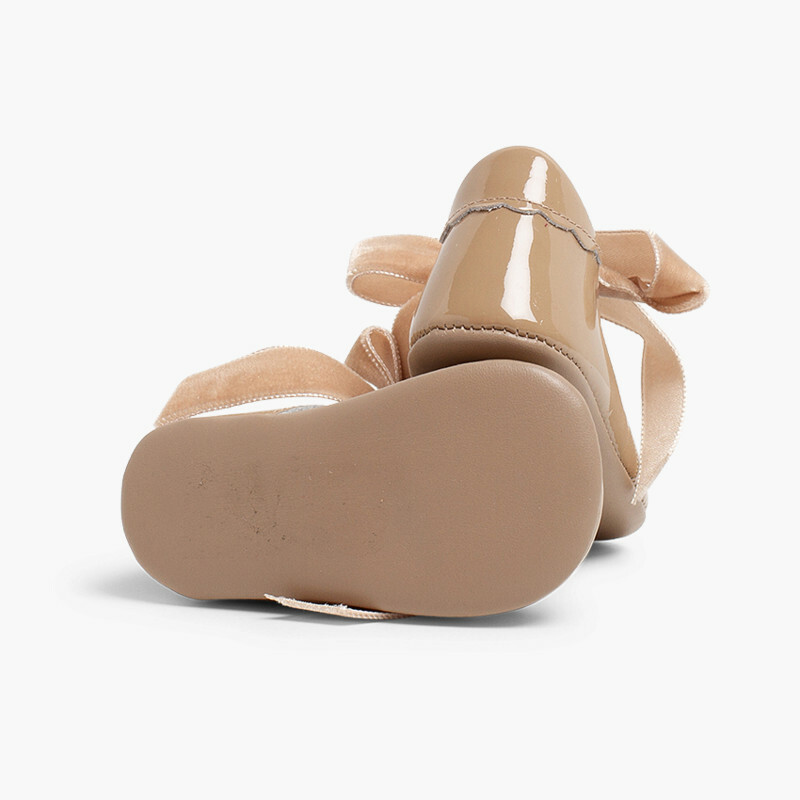 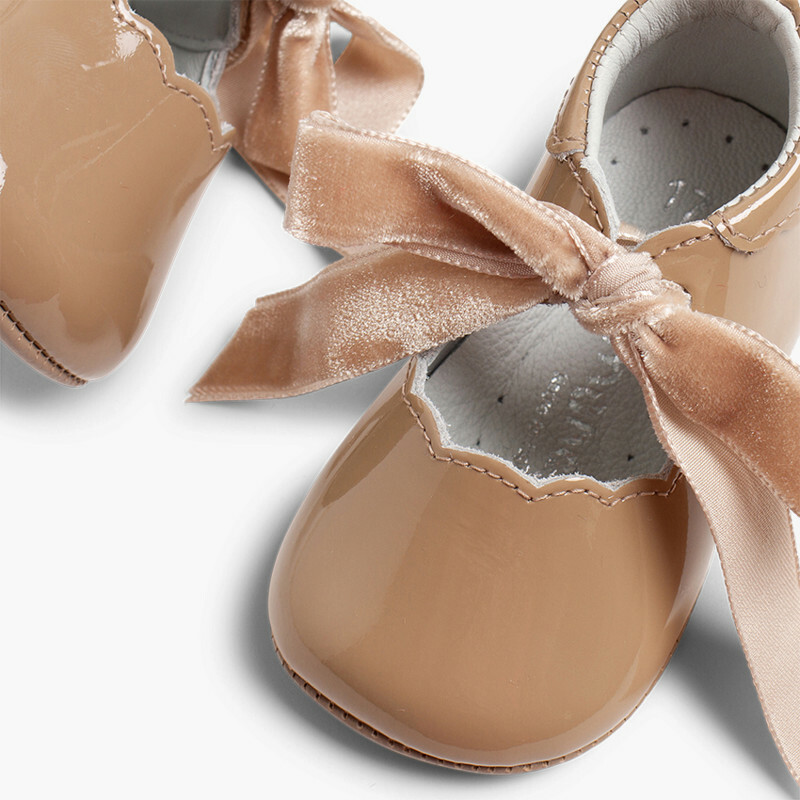 At Pisamonas we offer you these beautiful shoes for baby girls with soft soles for the most delicate feet in the family. 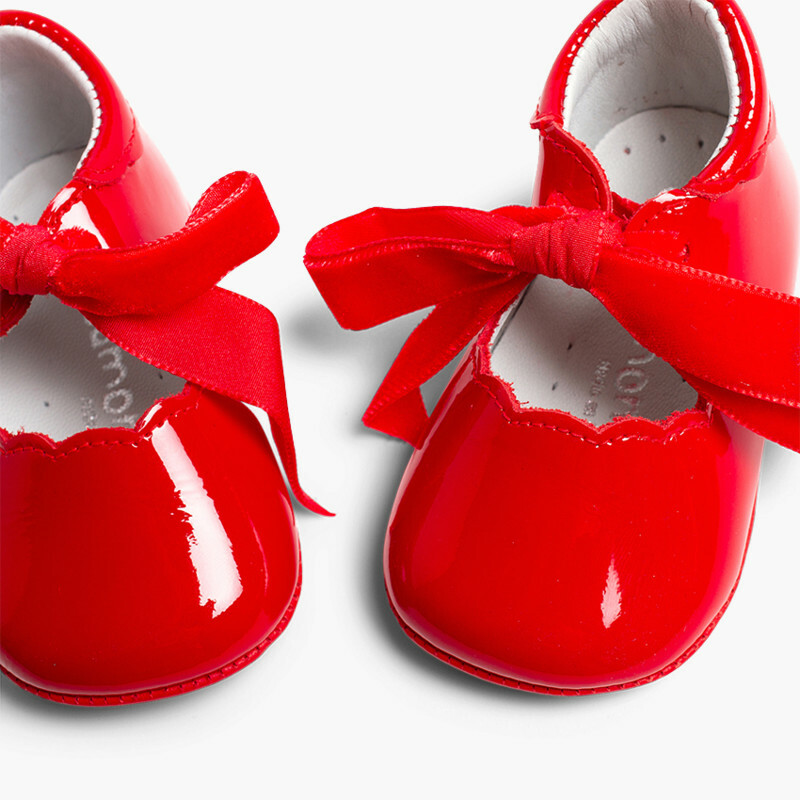 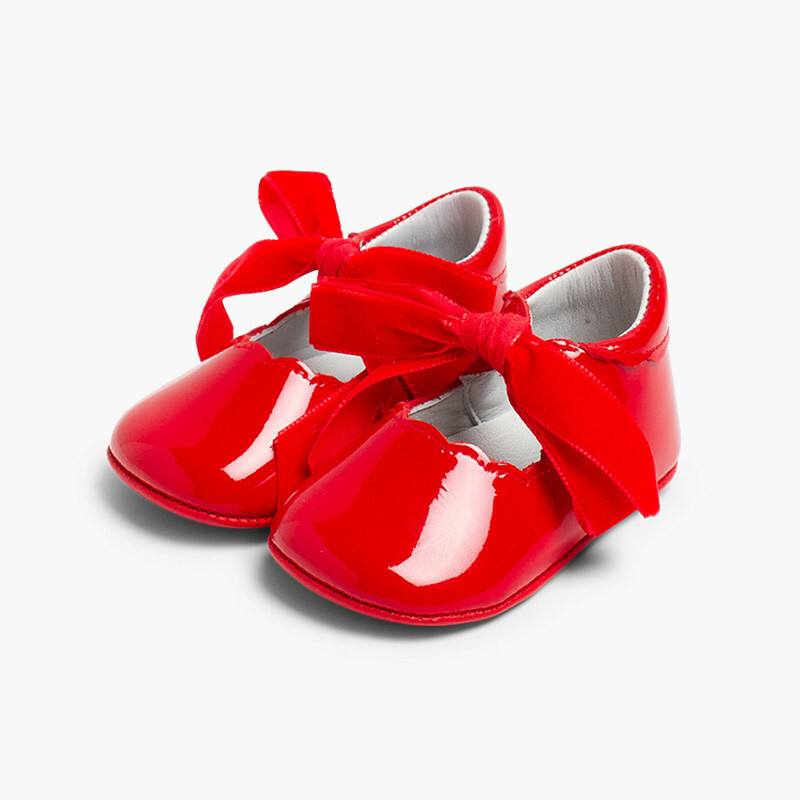 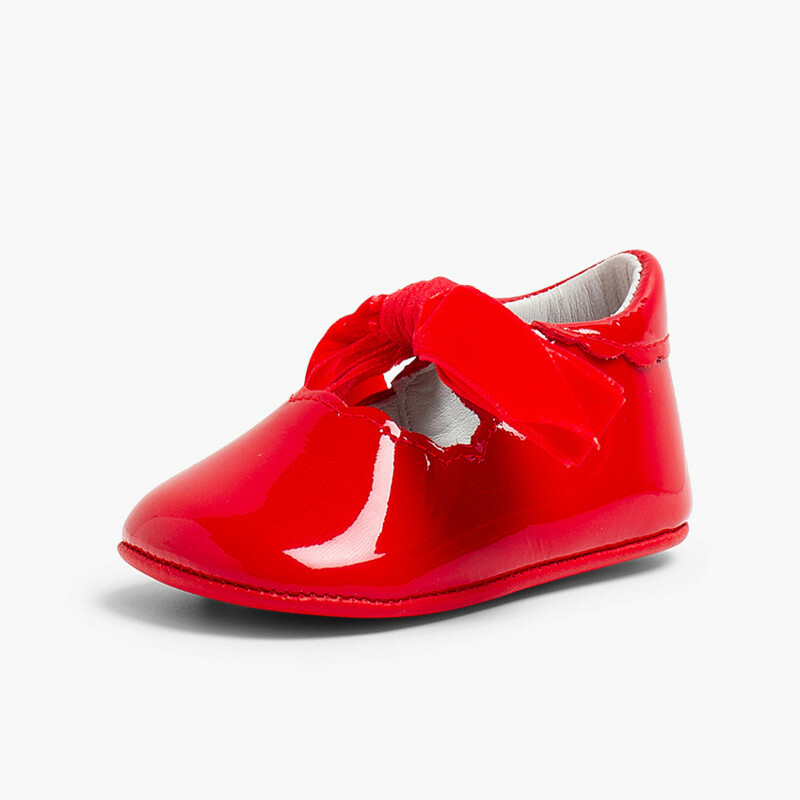 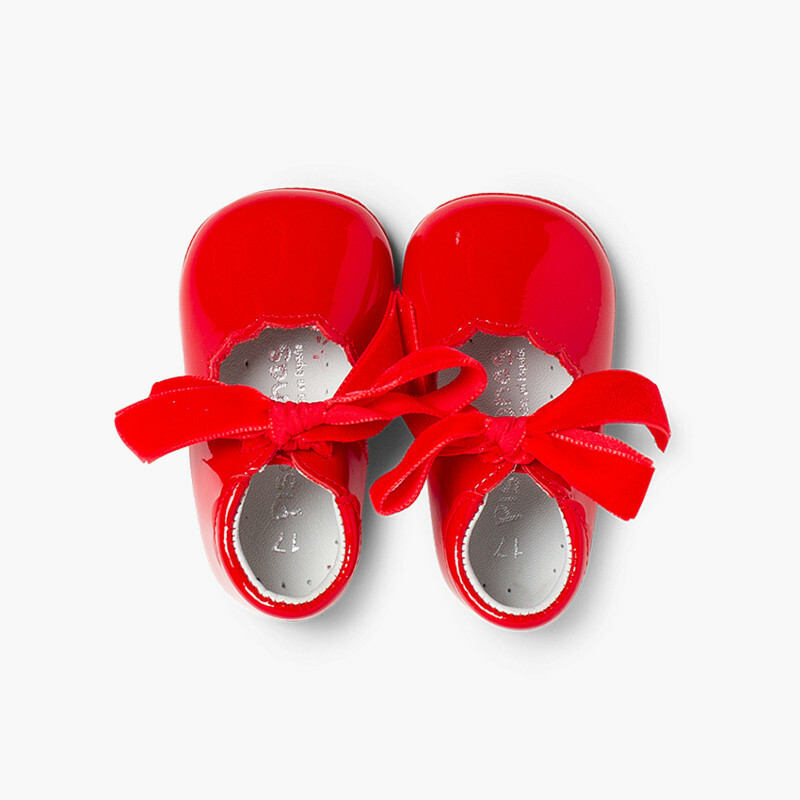 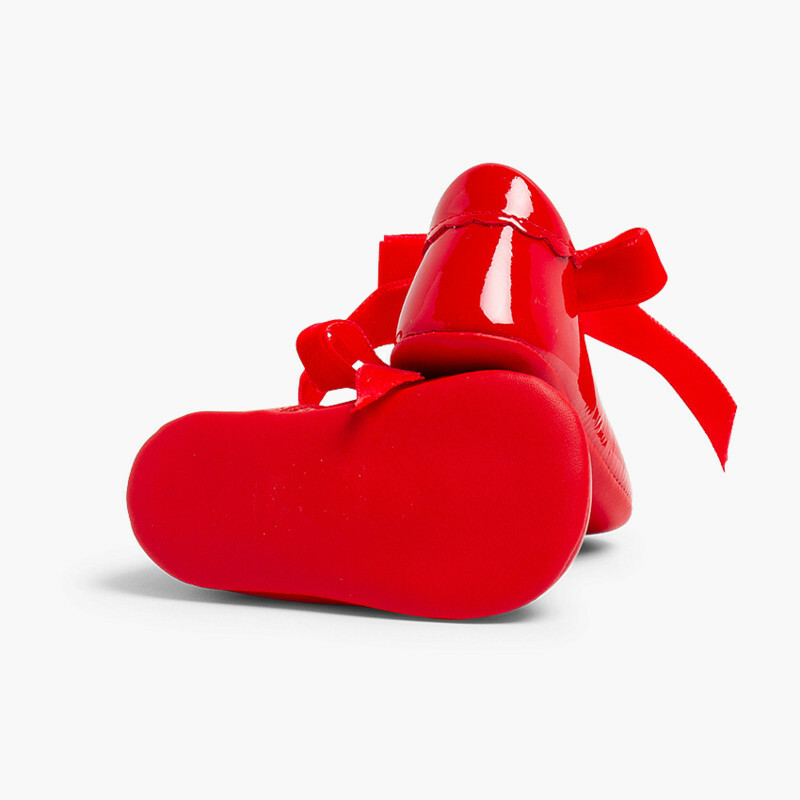 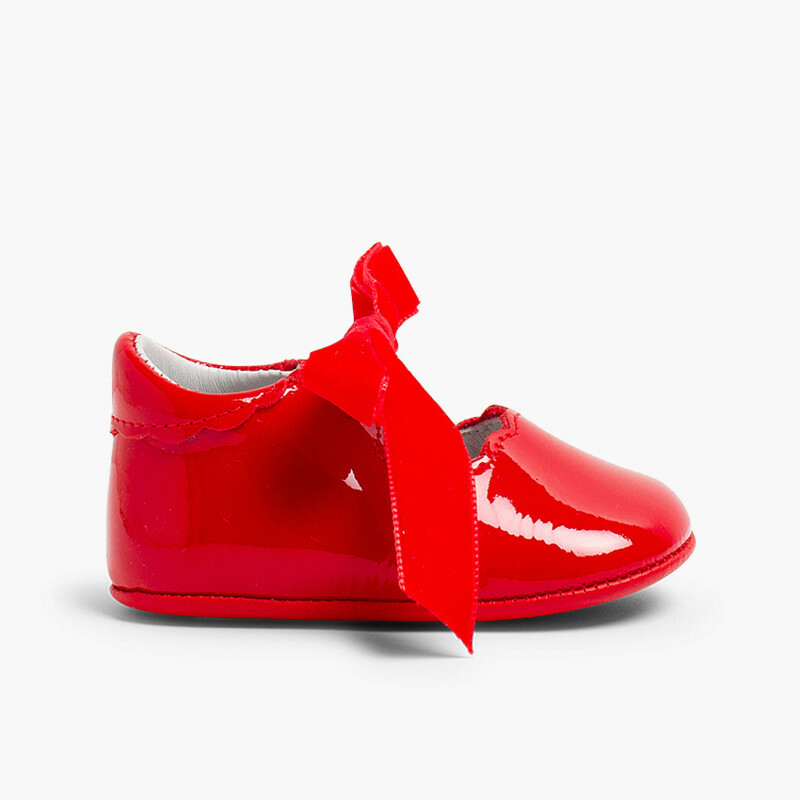 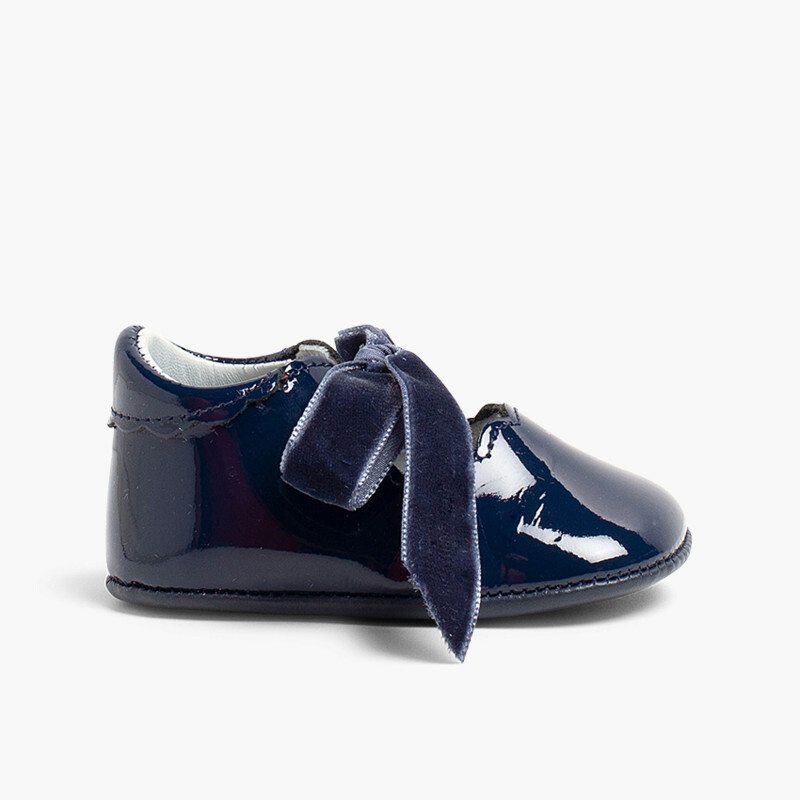 Mary Jane style patent leather booties with original velvet bows to make sure they grip their feet and add an elegant touch to your little one’s outfit! 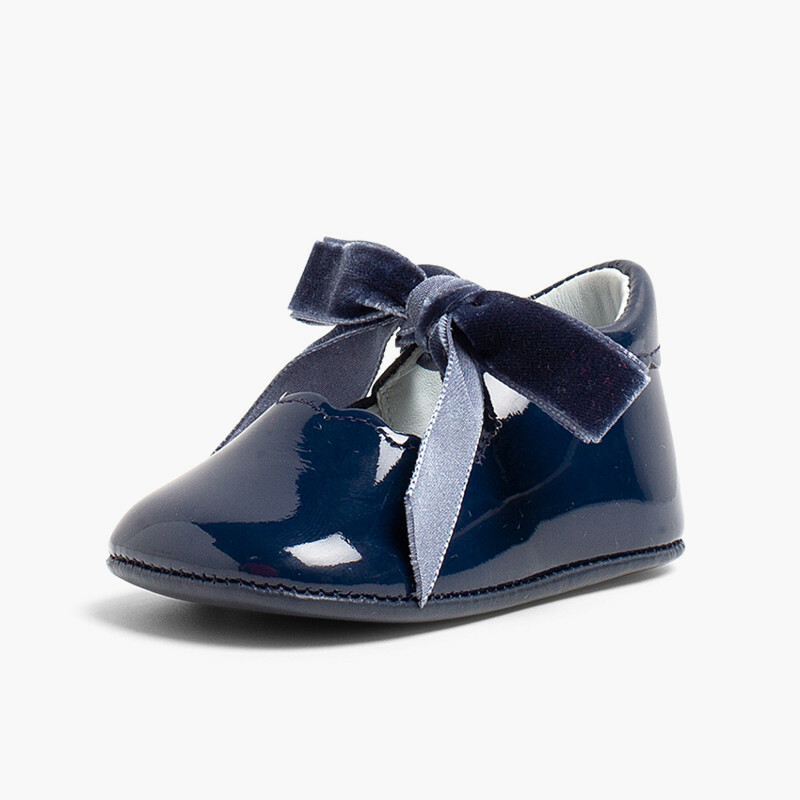 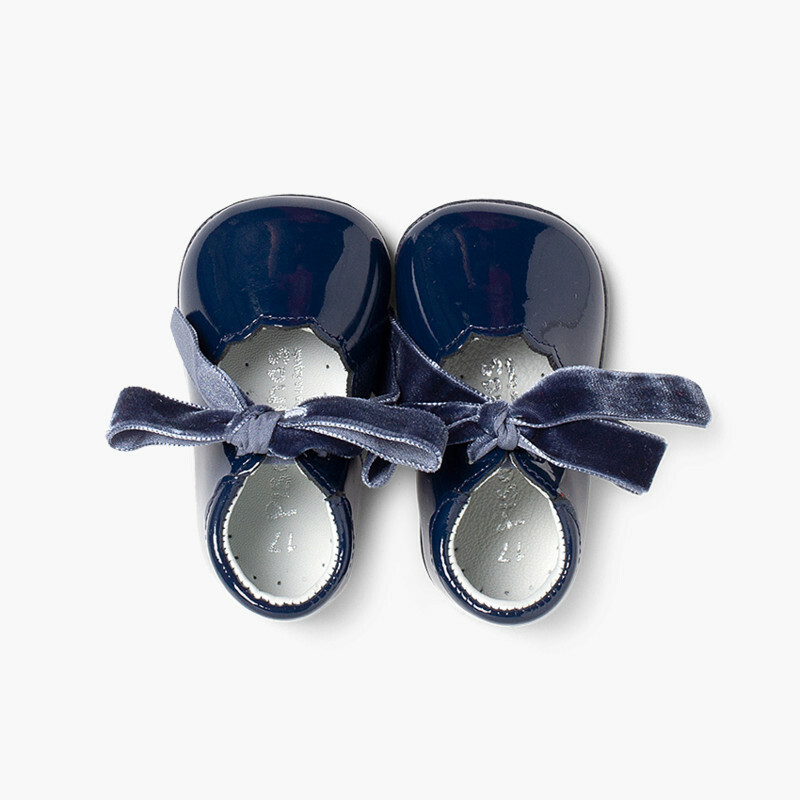 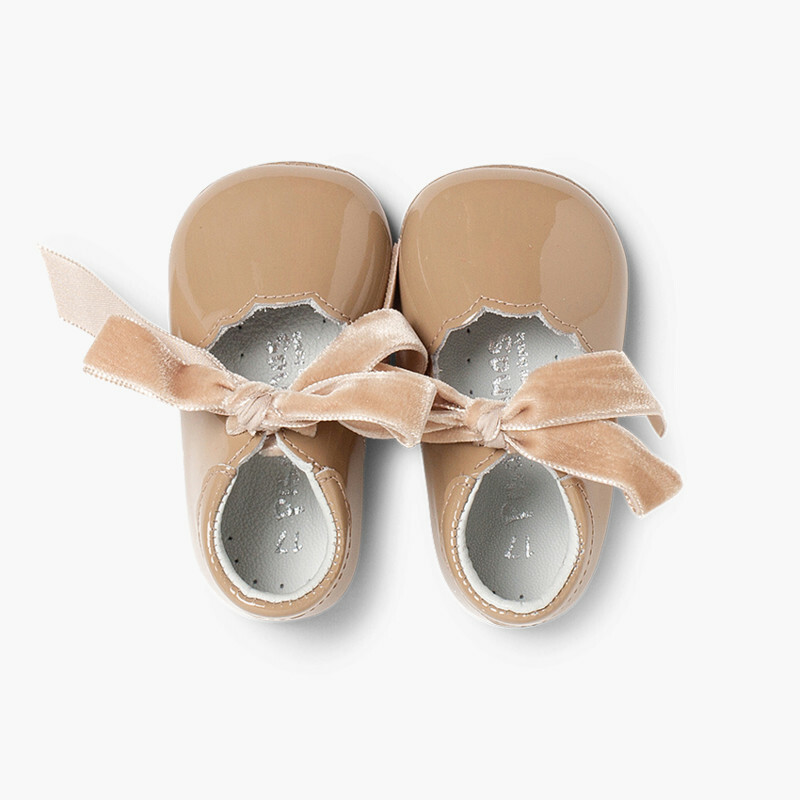 These shoes for baby girls are perfect for occasions and most formal events, and are available in three neutral colours that are really easy to match: navy blue, red and taupe. 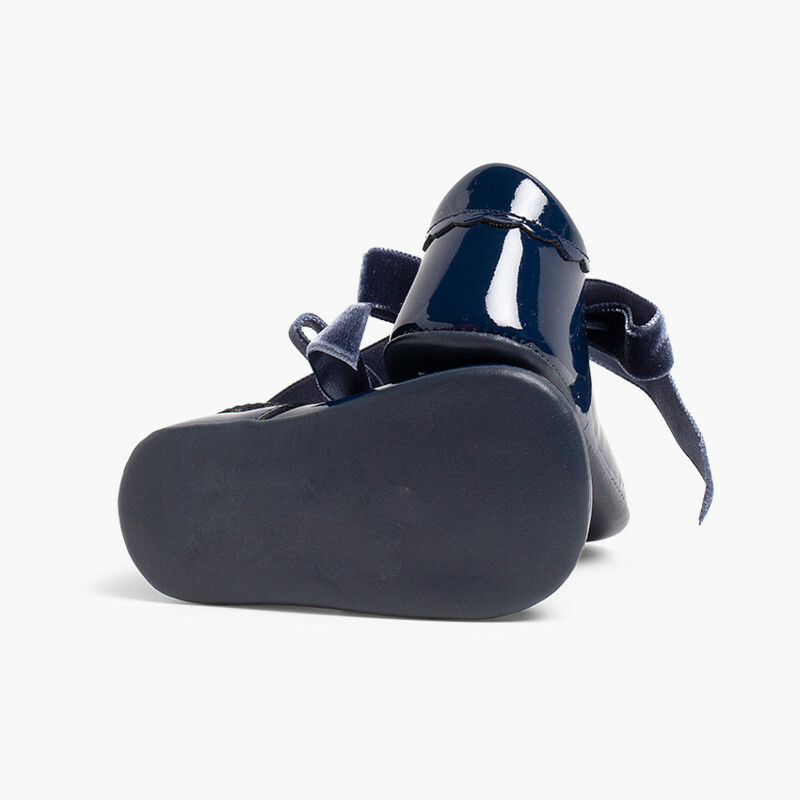 This baby footwear is manufactured in Spain from the highest quality materials to bring you the best products with the Pisamonas guarantee!